What can be done about the semi-literate reprobates spewing forth this sort of technobabble nonsense via email? I give you 30h after you view my message for making the transaction. As soon as you read the message I'll know it immediately. It is not necessary to tell me that you have paid to me. This wallet address is connected to you, my system will delete everything automatically after transfer confirmation. If you need 48h just Open the calculator on your desktop and press +++If you don't pay, I'll send dirt to all your contacts. Let me remind you-I see what you're doing!You can visit the police office but anyone can't help you. If you try to cheat me , I'll see it immediately! I don't live in your country. So anyone can not track my location even for 9 months. Goodbye for now. Don't forget about the disgrace and to ignore, Your life can be destroyed." It's straightforward blackmail - a crime in New Zealand and elsewhere - but the perpetrators are of course lurking in the shadows, hoping to fleece their more naive and vulnerable victims then cash-out anonymously via Bitcoin. Identifying them is hard enough in the first place without the added burden of having to gather sufficient forensic evidence to build a case, then persuade the authorities to prosecute. So instead I'm fighting back through awareness. If you receive vacuous threats of this nature, simply laugh at their ineptitude and bin them. Go ahead, bin them all. Train your spam filters to bin them automatically. Bin them without hesitation or concern. Then, please help me pass the word about these ridiculous scams. Let your friends and family (especially the most vulnerable) know. Share this blog with your classmates and work colleagues. Send journalists and reporters the URL. Hold a bin-the-blackmail party. By all means call your national CERT or the authorities if that makes you feel better. Just don't expect much in the way of a response beyond "We're inundated! Sorry, this is not a priority. We simply don't have the resources." If enough of us call their bluff, these pathetic social engineering attacks will not earn enough to offset the scammers' risks of being caught ... and who knows, we might just draw some of them into the open in the process. Let's find out just how confident their are of their security, their untraceability and invincibility. 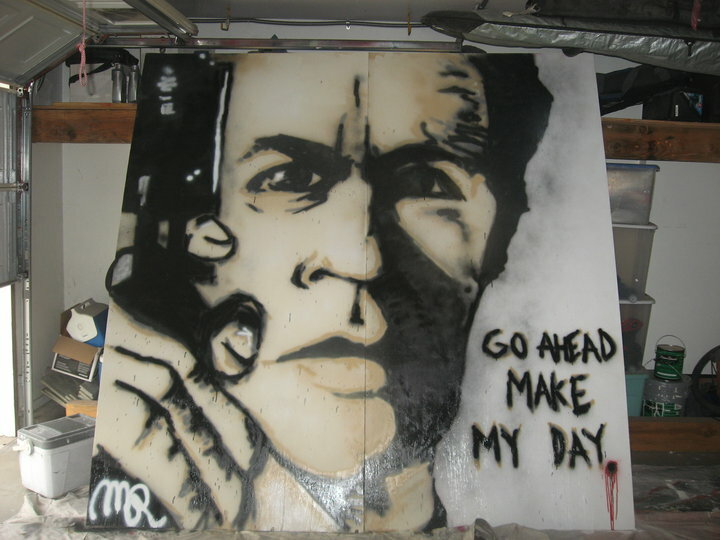 Recite after me: "Go ahead, make my day ..."